One of our passions is to return damaged vehicles to their pre-accident condition. We love it so much, we've been doing it for over 35 years! In the past 35 years, we've received countless letters from previous customers that thank us for repairing their vehicles to top-notch quality, providing friendly customer service, and a worry-free collision repair process. Unfortunately, there's no way to show off all of the letters we've kept over the years. Everything is done on the internet these days. 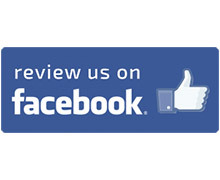 So we ask, if you've been a customer of a quality repair from ACS, let us know! Here are just a few of the many kind reviews we've received over the years. "A huge shout out to Dave and the team at A.C.S. Thank you again for the excellent work and true craftsmanship you did on my 2011 Chevrolet 3500 truck. I couldn't have hoped for a better finished product. It shines better than new! Everything you promised and more. My body shop for life." "Great customer care and service! The owner came out on a Sunday afternoon after we were having some trouble with the car they had been working on. He made sure that everything was taken care of, drove from home to meet us, and made sure that we were up and running on our trip back home. Very friendly, and really genuinely cares about his customers. Highly recommended!" "Simply the best and nicest people to entrusted your car with. Repaired my car to 99.9% new conditions, hardly see any different before accident. And, very good service and fast response to any possible concerns or problems even after the repairs has been completed for months. Only ACS from now on if (touch wood) ever need repair works. Refers all my friends if they ever needed a repair." "They are 100% professional people by all means. Their lot is 90% full of Mercedes, we brought our Toyota Sienna'06 and they took great care of it. Their office looks very nice and clean, receptionist is very helpful over the phone, they do all of the communication with your insurance company - great, great place!"